All sheep must be tagged when leaving the premises or if sold to another owner. ONLY sheep under 18 months of age and in slaughter channels are exempt from tagging requirements. Currently, USDA-APHIS will provide up to 80 plastic flock tags, free-of-charge, to qualifying producers. The no-cost metal tags previously provided to producers will be phased out in summer 2019. During the phase out, APHIS will continue to provide up to 100 serial metal tags free-of-charge to producers who haven’t received APHIS-provided tags within the previous 24 months. The applicator for the metal tags must be purchased from the National Band & Tag Company (859.261.2035). To request the official APHIS tags, call 1-866-873-2824. Producers need to have a Scrapie number to place an order. 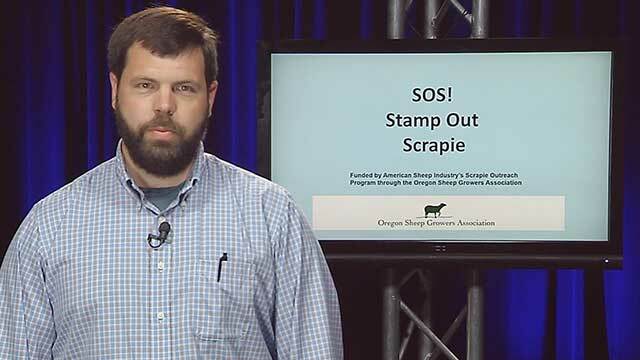 OSGA offers a 10-minute overview of the scrapie eradication program below. The video is a good introduction for new producers, 4-H /FFA members, or as a quick review of the basic requirements of the tagging program and the responsibilities of every producer. The American Sheep Industry Association offers a more extensive one-hour educational program explaining the National Eradication Program at sheepusa.org/ResearchEducation_OnlineEducation_Scrapie.